American families aren’t accessing the school types they prefer and do not trust the federal government, according to results of an annual report, “Schooling America,” produced by EdChoice, a national nonprofit organization that promotes state-based educational choice programs. The majority polled overwhelmingly support Education Savings Accounts, tax credit scholarships, school vouchers and charter schools. The survey asked public school parents and the general public about their views of the four types of educational systems in America: public schools, charter schools, private schools and home schooling. It also asked respondents about their views of the federal government’s role in K-12 education. The majority of parents are involved with public school districts, the report found, with 89 percent having children who attended public school for at least one year. This percentage mirrors the data reported by the U.S. Department of Education, the report notes. Current public school parents are generally satisfied but at least one-third reported “major issues” with their schools’ responsiveness, communication and support outside the classroom. When asked what the government could focus on, a majority suggested that it fund access to a quality education for military families (72 percent), fund access to a quality education for students with disabilities (68 percent), protect students’ civil rights (66 percent), fund access to a quality education for all students (64 percent) and fund access to a quality education for low-income students (61 percent). Rural and small-town Americans expressed greater dissatisfaction with the federal government’s role in education. Only 41 percent said it should play a major role in K-12 education, compared to 52 percent of urbanites. Should the federal government establish a school voucher system? 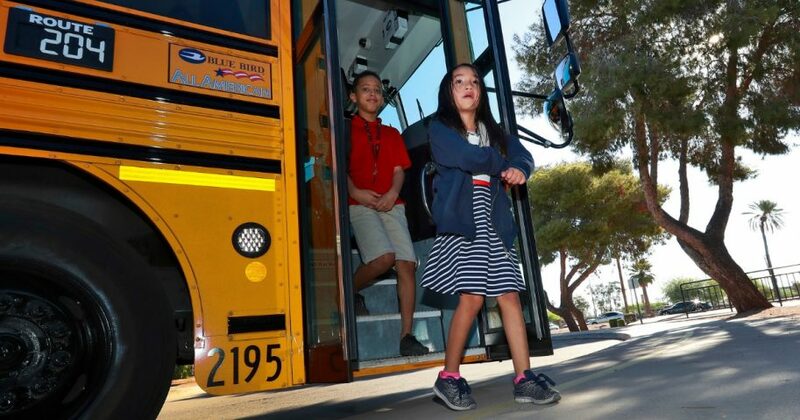 “Far too few people know their options — and far too many parents are unable to access the schooling type they’d prefer if resources were not an issue,” EdChoice President and CEO Robert Enlow said in a statement. Parents who home-schooled their children expressed the highest levels of satisfaction (86 percent) among the four school types. Parents were more than twice as likely to say they were “very satisfied” with charter schools and private schools (43 percent and 47 percent, respectively) than district schools (26 percent). Two out of three Americans (66 percent) express support for tax-credit scholarships, compared to roughly one in four (24 percent) who oppose them. Ten percent of respondents did not express an opinion about tax-credit scholarships. Six out of 10 Americans (61 percent) said they support public charter schools, while 29 percent oppose them. Bethany Blankley is a contributor to Watchdog.org, where a version of this article appeared.